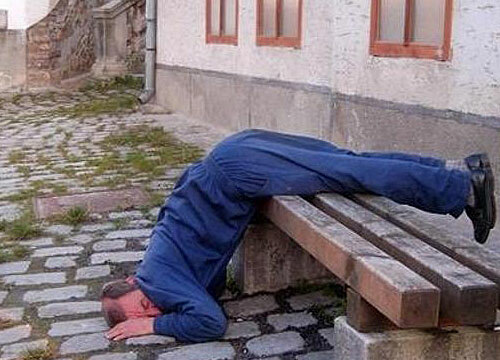 Sleeping positions vary and as long as you’re comfortable, there really isn’t a wrong way to sleep. There are some positions, however, that are better than others. 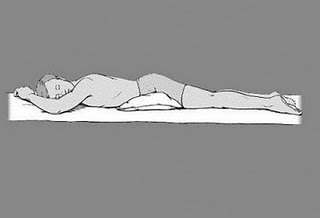 For those finding it difficult to re-train their bodies into new sleeping patterns the following are ways you can achieve the most proper sleeping position that is most beneficial to spinal health. This position is NOT recommended because you are most likely turning your head to one side. By keeping your head in a rotational position for at least 6 hours you run the risk of waking up in pain. 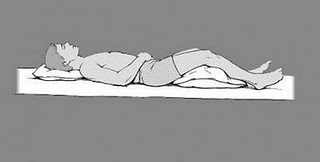 If you can’t stop yourself from sleeping this way make sure you use a pillow beneath your pelvis to take the strain off your lower back. 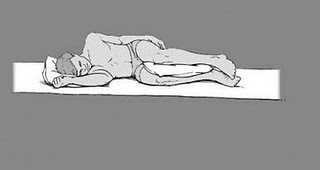 For those of you who sleep on your backs you would want to place a cervical pillow behind your neck and a regular pillow under your legs for proper support of your lumbar spine.